Once you have installed and activated Post Gopher on your WordPress site you will be asked for a license key. You are "in charge" of you license keys!. 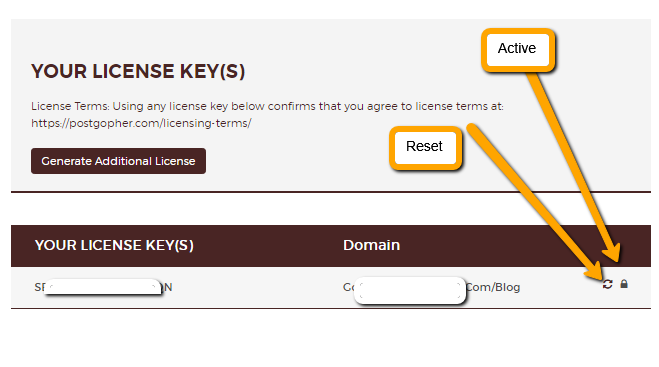 You will now see you "license dashboard"
Reset a licenses if, when trying to add it to your site, it is flagged as "in use"
Choose a license, copy and paste it to your site.